Falling in love with a new-to-me yarn is one of my favorite parts of knitting. This happened to me when I tried Dragonfly Fiber’s gorgeous Djinni Sock yarn recently. A blend of merino, cashmere and nylon gives it a wonderful hand, and the just-right ply makes for delightful knitting. When I was a young, I spent a lot of time in Arizona. I loved nothing more than to ride through the hills, exploring beautiful canyons and desert vistas. It was on one of these rides that I discovered a whole hillside of petroglyphs. Ancient carved rock pictures of snakes and stick figures captured my imagination. 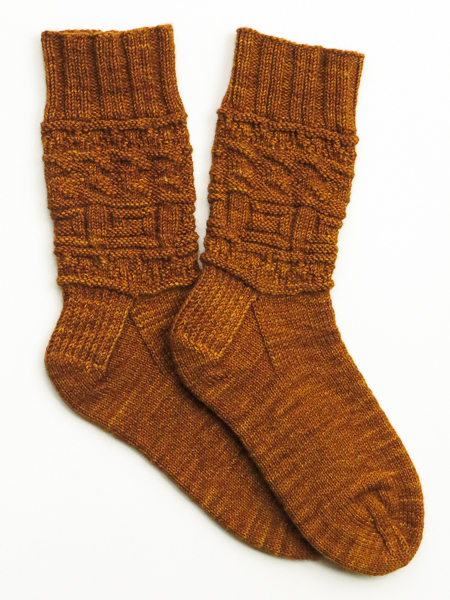 No wonder I felt compelled to make the Petroglyph Socks from Anne Podlesak’s Western-inspired book, Free Spirit Knits. I modified the Petroglyph pattern by making a rounded toe. If I had it to do over again, I think I’d choose a yarn that is a true solid so the socks’ stitch pattern would show up better. That said, I know I’ll get a lot of use out of these socks. I like the pattern, and the yarn makes the socks heavenly to wear. 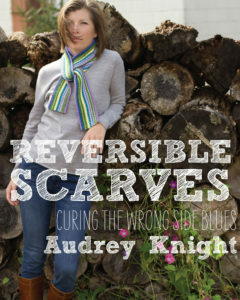 I will be reviewing Free Spirit Knits and offering a brand new copy as a giveaway in the coming weeks. Dragonfly Fibers offers many weights of yarn, in a staggering array of gorgeous colors. I encourage readers to purchase books through their local yarn shops. Please ask for Free Spirit Knits there. You can check out the patterns in the book on the book’s Ravelry page. Anne Podlesak offers many great patterns on Ravelry. Love those socks, in that yarn. Dragonfly Fiber sis one of my new favorites, alla round, I am not sure how I never encountered it till this past year.